A decent cleanser is one of the most important parts of a good skincare routine – there’s no point piling on the lotions and potions if you’ve still got a layer of crap on your face, after all. Cleansing oils seem to be a big trend for autumn/winter, with lots of the big brands launching new ones over the past month or two. I love a cleansing oil as they’re generally more gentle to skin and that little bit richer, so work really well throughout the colder months when your skin needs that bit more moisture. I’ve picked out three of my favourites from the recent launches, catering for budget, medium and higher end budgets. B. Micellar Cleansing Oil* – B. are such a great brand when it comes to affordable, quality skincare. Their new Micellar Cleansing Oil is really great at removing all traces of makeup without stripping the skin and is a total bargain at just £6.99. It’s packed full of chia seed oil, vitamin e and pomegranate seed oil and like all B. products is vegan and Leaping Bunny certified. This is one of the few cleansers I’ve been happy to use on my eyes (I normally use a separate remover for mascara and liner), although if you use a lot of eye makeup like me I’d recommend a double cleanse. 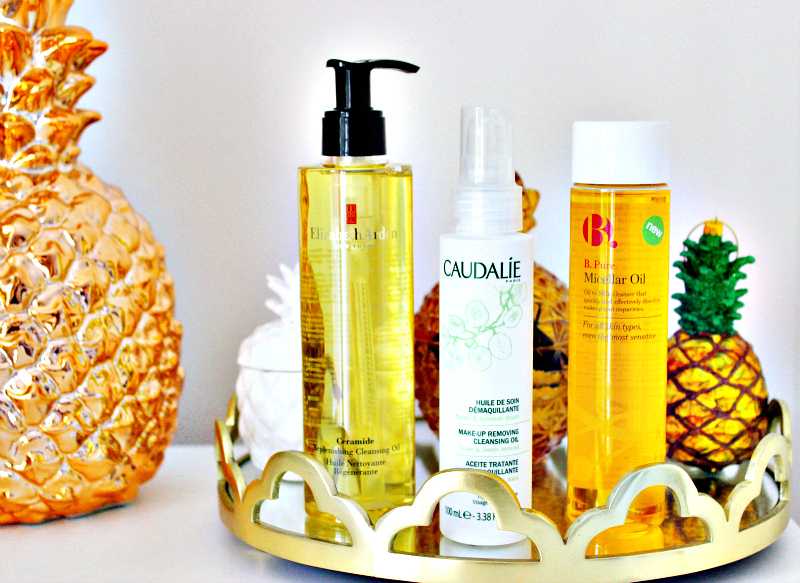 Are you a fan of cleansing oils? Which ones are your favourites?